Pardon me, while I do my happy dance of SQUEE!! Because I've finished it, and it's BEAUTIFUL!!! 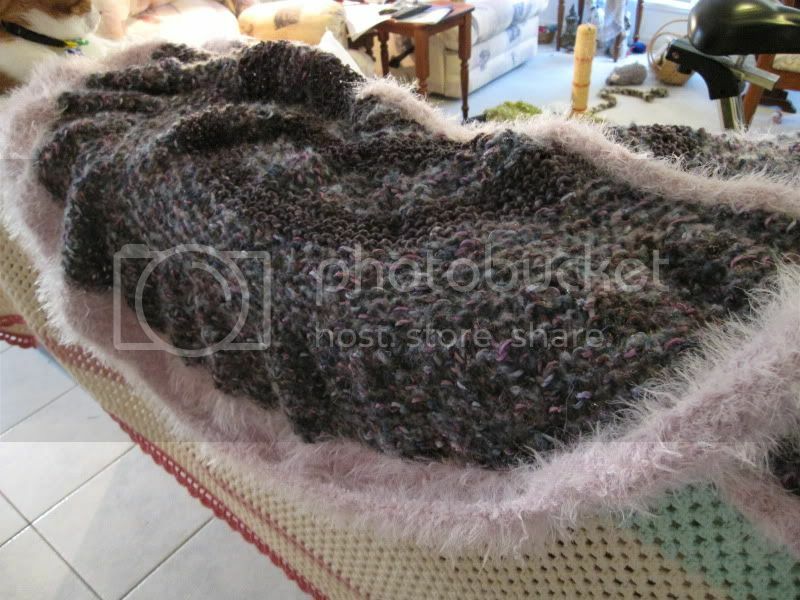 So, remember how I was telling everyone about the yarn that dangerpuddle sent me, that I was making into a shawl? This was where I was up to, last time I was talking about this project. 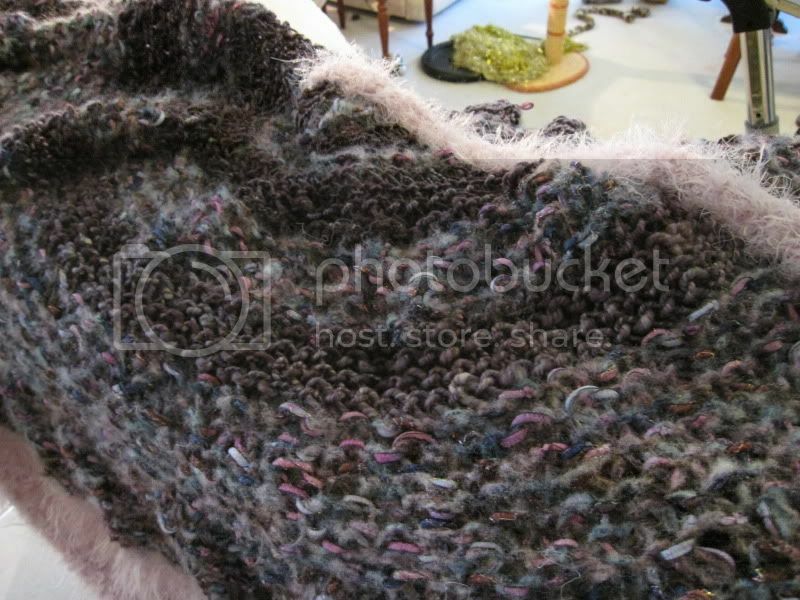 The darker yarn is the hand spun and hand dyed yarn from dangerpuddle , and the fluffy yarn is called Veronica, from a range called Sean Sheep, which I think is just the cutest name for yarn! And today, I finished my beautiful. beautiful shawl, and here it is! I alternated increasing bands of the two yarns until I ran out of the midnight yarn, then finished with the Veronica. The edging is a yarn from the same Sean Sheep range, called Cassowary - a deliciously soft and fluffy mix of wool, acrylic and mohair. You can see the alternating bands a little better in this close-up. The edging on the shawl makes me feel like a fifties movie star when I put it on! I just love how it turned out!! :O that looks amazing!! How in the world did you get those fluffy looking bands in it? Is that just how the yarn is? 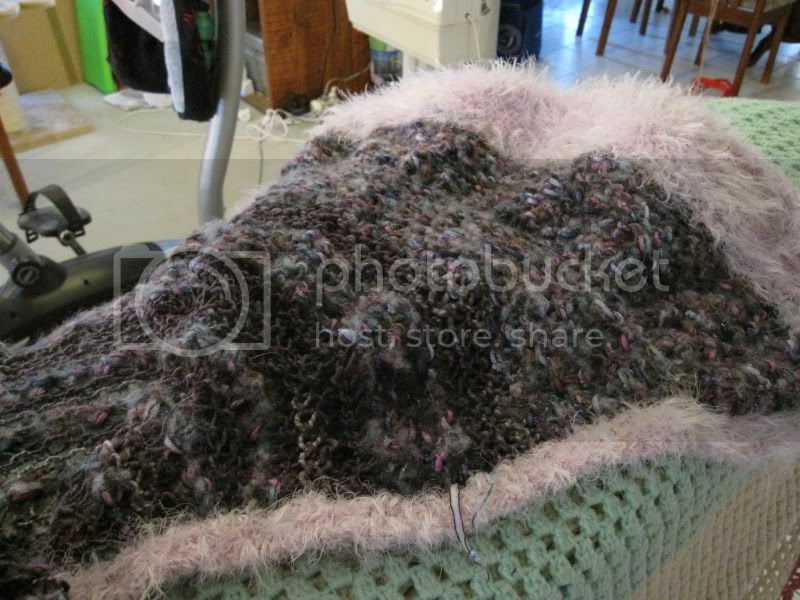 Yep, that's just the yarn - it's an acrylic, with some fluffy strands and narrow ribbon plyed in with it. 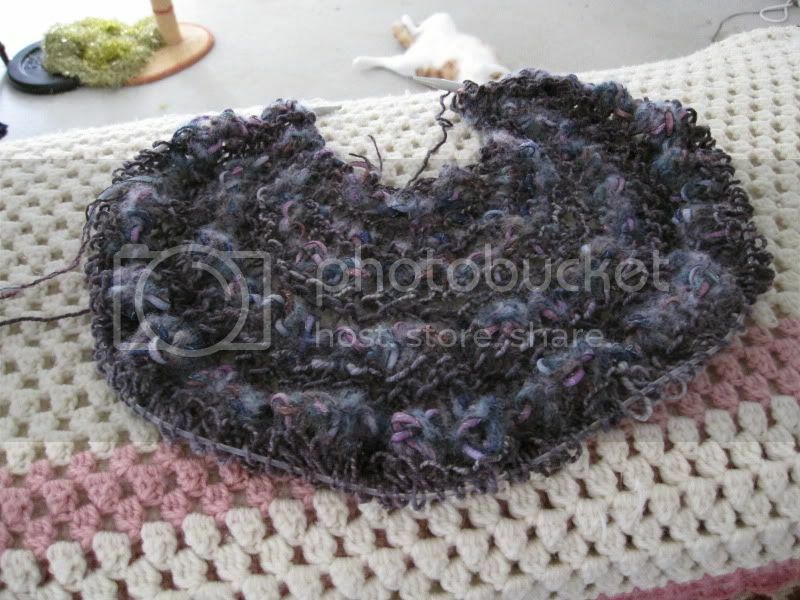 But it looks so good next to dangerpuddle's lovely smooth midnight yarn! Wow, that's gorgeous! I love it! *applauds* You have some mad knitting skills, girl.